As a regular at the Spearhead Presents nights, Hospitality, Liquicity and many, many more, MC Fava is certainly no newcomer. His vocals have featured on the tracks of artists such as Keeno, Klute and Mutated Forms, plus he features on the London Electricity Big Band live album and there are loads more projects that we could name drop too. So it’s high time that MC Fava took the lead and got the producers to work for him for a change. He’s drafted in a who’s who of d&b super producers to work with him on the ‘Hearts Wander EP’. With Logistics, Seba, Klute, Nymfo & L.A.O.S on production duties you know that this pure gold. MC Fava had already started his career back in 2001 when he was responsible for the Jungle Club events in his hometown, Freiburg. Through these events he got in touch with various important names in the scene like Goldie, Doc Scott, LTJ Bukem and DJ Storm who all truly rated his work on the mic. 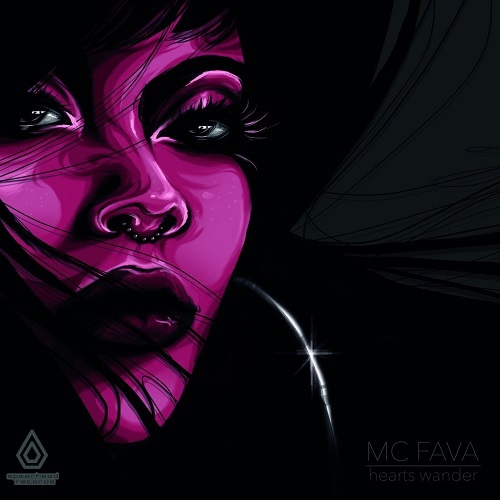 Throughout the years, MC Fava started to tour Europe, his musical talent allowed for him to perform in various countries, and through this he achieved performances in each continent. MC Fava is thought to be the first non UK MC to have been on the microphone at the world famous Fabric Club in London. He remains the only German Drum & Bass MC who regularly performs in United Kingdom, the motherland of this music genre. For most artists, playing in UK itself is already a life achievement. Fava slowly drew the attention of many promoters and also booking agencies – one of them: Clinic Talent, the artist agency of Hospital Records, one of the most famous Drum & Bass record labels worldwide. In 2015 Fava exclusively joined Clinic Talent who then were responsible to organize his 80 – 100 shows a year. At present, Fava remains one of the busiest artists on their roster. He has been representing Hospital Records on performances throughout the whole of Europe, touring Australia and New Zealand, Japan, South Korea, Indonesia South Africa and Colombia. In 2016 alone, he played shows in 27 countries worldwide. Fava hosted the main stages of the biggest festivals in the scene like Let it Roll in Czech Republic which happens to be the biggest Drum & Bass festival in the world, Global Gathering in South Korea, Outlook Festival in Croatia, Balaton Sound in Hungary, Mysteryland in the Netherlands, the Street Parade in Switzerland which is the biggest Techno Parade in the world, Pohoda Festival in Slovakia, Kendal Calling in the UK, Sonne Mond und Sterne Festival in Germany or Sun and Bass on Sardinia. Fava´s extraordinarily sensible feeling for rhythm and melody made him one of the most demanded MCs in the scene. Although he is a non-native speaker, he has been nominated for an international music award since the last 7 years. The last 5 years he was among the Top 10 Drum & Bass MCs worldwide in the Drum & Bass Arena Awards in London. An achievement no other non-native MC ever managed to reach. Fava is not only a much appreciated host for his live events, he rapidly became one of the go-to artists for quality vocal delivery as well. His voice enriches approximately 100 songs that got released on some the most respected labels in the scene like Hospital Records, Med School, V Recordings, Spearhead Records, Commercial Suicide and Fokuz Recordings. In 2017, Hospital Records released the live recording of the London Elektricity Big Band show at the Pohoda Festival, Slovakia´s biggest music festival. MC Fava is featured on the recording leading a 22 piece live band. Today he will release his debut EP on the famous British label Spearhead Records.